On July 30, 2018, the Occupational Safety and Health Administration (OSHA) formally published a Notice of Proposed Rulemaking (NPRM) seeking to revise and improve the Tracking of Workplace Injury and Illness rule. The proposed rule rescinds the requirement for establishments with 250 or more employees to electronically submit information from the OSHA Forms 300 Log and 301 Forms. Large employers (250 or more employees) will still be required to submit information only from OSHA Form 300A summary annually. Provisions of this new rule require covered employers to submit their Employer Identification Number (EIN) electronically along with their injury and illness data submission to reduce or eliminate duplicative reporting. The proposed amendment is geared at protecting sensitive worker information from potential disclosure under the Freedom of Information Act (“FOIA”). 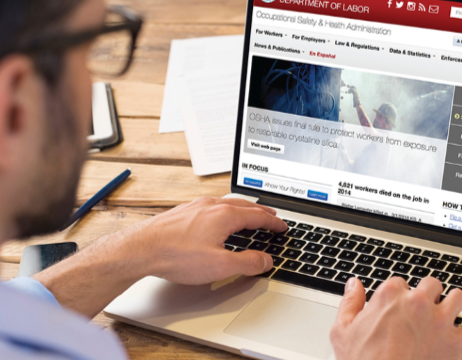 OSHA seeks comment on this proposal, specifically on the electronic submission and EIN and its potential impact on worker privacy. Public comments on the proposed rule are due September 28, 2018 and may be submitted electronically at https://www.regulations.gov/.